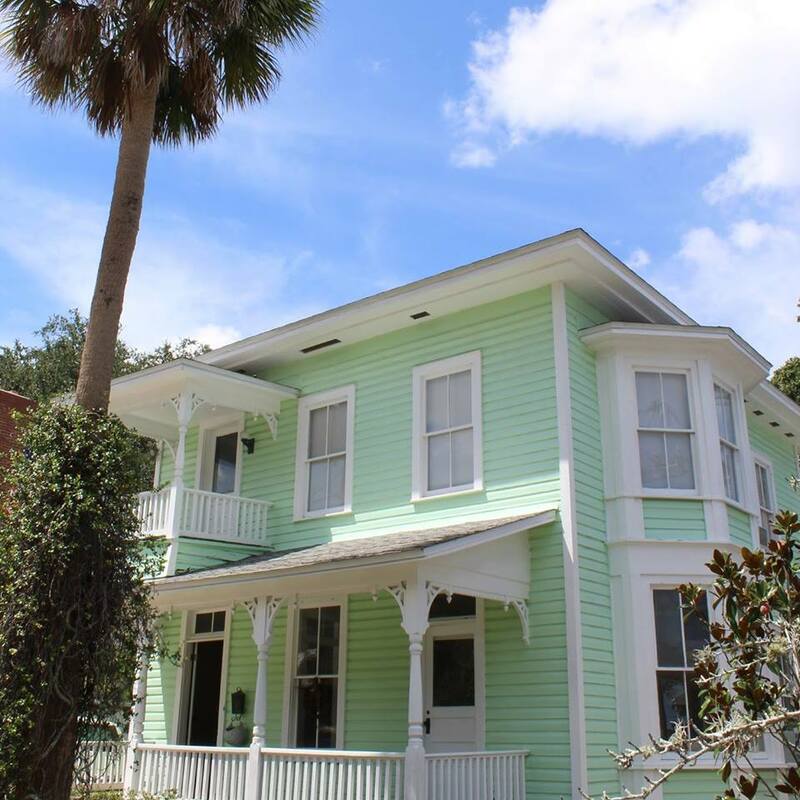 Our majestic Victorian home is 5 min walk from Historic downtown St Augustine! Live music, cobble streets and beautiful stores galore! The situation couldn’t possibly be more perfect. Horse and chariot rides pass our front door and the beach for incredible sunsets is a short 5min drive with plenty parking! Kindly ask us re our Pet Fees and Rules should you wish to bring your pet along. We have recently installed a heating system in both bathrooms, as well as the entire downstairs of the Manor House. We have also bought a space heater for each bedroom upstairs for use in the winter to keep our guests warm. We have a total of 5 double bedrooms sleeping 10 guests comfortably. (4 bedrooms upstairs and one bedroom is downstairs) All are queen size beds. There are 2 full bathrooms recently restored with beautiful natural marble stone. Should you wish to bring along your pet – kindly message us with the breed and size of your dog. We do charge a small Pet fee.